Elchin Musaoglu Guliyev was born on July 11 1966 in Baku, Azerbaijan. 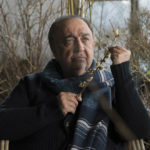 He is the writer and director of over 50 documentary films and a member of both The Union of Azerbaijan Cinematographers and The Union of Turkish Documentary Cinematographers. He is also one of the founders of The Society for the Support of Documentary Films and Filmmakers. His films have received both critical acclaim and won numerous international awards. State Institute of Theatre Arts named after Lunacharsky, Mark Zakharov’s studio, Moscow, Russia. Producer, actor, scriptwriter and director ALI KARIM was born in Tehran on October 10th 1977. 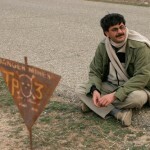 He was a theatre actor before appearing in films, notably in features such as “Sag Koshi” /2001 (Bahram Beyzaï) and “Mossafer-e Rey” / 2001 (Davoud Mirbagheri). He then served as assistant director on various films, working especially with Dariush Mehrjuï on “Mum’s Guest” (Mehman-e Maman). In 2008 he took part in Abbas Kiarostami’s directors’ workshop during which time he made his first short, « Yellow, Blue, Red ». 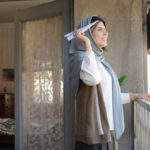 He then worked as Kiarostami’s assistant on “Shirin” before completing a second short, “The Lift”. His two shorts have been successful in numerous international film festivals. On the back of his success ALI KARIM finally directed his first feature, “Pothole” in 2009. The film closed the Critics’ Week at the Venice Mostra the very same year. « I Hate The Dawn » is his second feature. 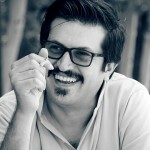 Born in 1973 in Hamedan Iran, Majid Barzegar holds a BA in Film and an MA in Dramatic Literature. 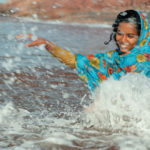 He has made several short and documentary films. Rainy Seasons (2010), his first feature film, has been in official selection at festivals such as Rotterdam and Montreal. Ali Shojaie was born in 1981 in Boroujerd, Iran. Having graduated in medicine and become an MD, he now intends to follow cardiology in the USA. 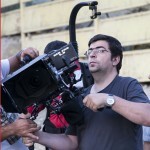 Despite having no previous cinematographic experience he started filmmaking at the Karamameh Film School under the guidance of Abbas Kiarostami. ‘The Old Man’ is his first feature. Ali Ahmadzadeh was born in Tehran in 1986. Despite being qualified in architecture, his interest in music led him to graduate from the Neinava Music University. He is also a graduate in film direction from the Young Cinema Society. 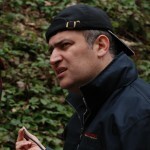 Adel Yaraghi is an Iranian film maker born in September 1968. He holds a B.A (1998) and an MFA (2000) in film production from Loyola Marymount University in Los Angeles. He started his film career as an assistant editor in Concord-New Horizons, a Roger Corman company. In 2004 he went back to Iran where he continues working as a film editor. 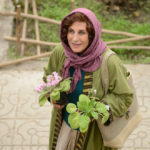 He has made numerous short and promotional films both in Iran and the U.S. Since 2007 he has actively and continuously attended Abbas Kiarostami’s film making workshop. 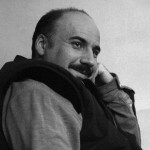 Director, editor and photographer, Ebrahim Saeedi was born in 1965 in Mahabad in Iranian Kurdistan. He has a B.A in Cinema from the Arts University of Tehran. 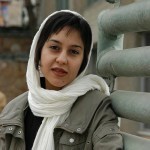 with a Master’s Degree from the University of Al-Zahara , Tehran in 2008. « The Young Man and the Cunning Tailor » is her first animated film as director.